The Furry Pound forums • View topic - Hello! Well, figured I would introduce myself as I am new here! Anyways, I'm Valletta (lol) on steam I'm CSn|LN Valletta so, if you see me on don't be afraid to say hi. I started getting back into TF2 lately, after being eaten alive by World of Tanks, usually I'm on during the day when I don't have actual real life things to do.. I stick around the fun servers mostly, because even as good of a sniper as I am, I'm nothing compared to the people in the slaybox servers. But yeah, nothing special, so I look forward to gaming with you guys soon! I'd upload some art, but my drawing skills are so bad I would implode the world. 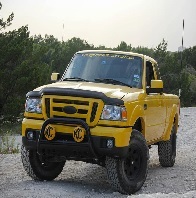 So in the meantime, look at my yellow truck. If you give me enough Duct Tape and WD40, I can fix it. is world of tanks fun? please post some videos, never actually played the game, heard a lot tho!